Community CPA & Associates, Inc. is not your average accounting firm. We offer expertise with empathy, knowledge with understanding, and powerful technology with a human touch..
Reevaluating your tax structure is a smart thing to do because tax planning and reorganizing your business entity can help save cash that can be used to expand your business. Community CPA understand knowledge is power. Click to read more about all of the educational videos to help grow your business! Who says comics are for kids? SaYing comic tips are fun and you can almost hear Ying’s voice through each of the storytelling! Office hours: 8:30 a.m.- 5:30 p.m. de lunes a viernes. Gracias por visitar el sitio web de Community CPA & Associates, Inc. Si tiene algún comentario, pregunta o inquietud, envíenos un correo electrónico y Ying Sa le responderá en 24 horas. 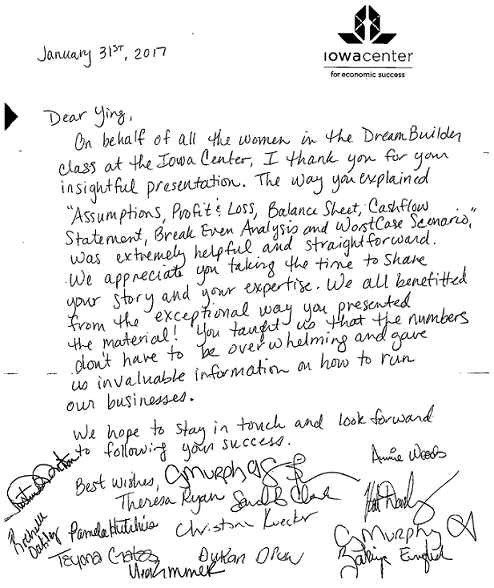 On behalf of all the women in the Dream Builder class at the Iowa Center, I thank you for your insightful presentation. The way you explained “Assumptions, Profit & Loss, Balance Sheet, Cash Flow Statement, Break Even Analysis and Worst Case Scenario,” was extremely helpful and straightforward. 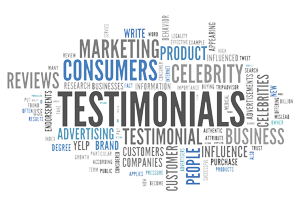 We appreciate you taking the time to share your story and your expertise. We all benefited from the exceptional way you presented the material! You taught us that the numbers don’t have to be overwhelming and gave us invaluable information on how to run our businesses. We hope to stay in touch and look forward to following your success. You are amazing! Thank you for sharing your knowledge in such a “real” way. Best of luck to your son in Iowa City. 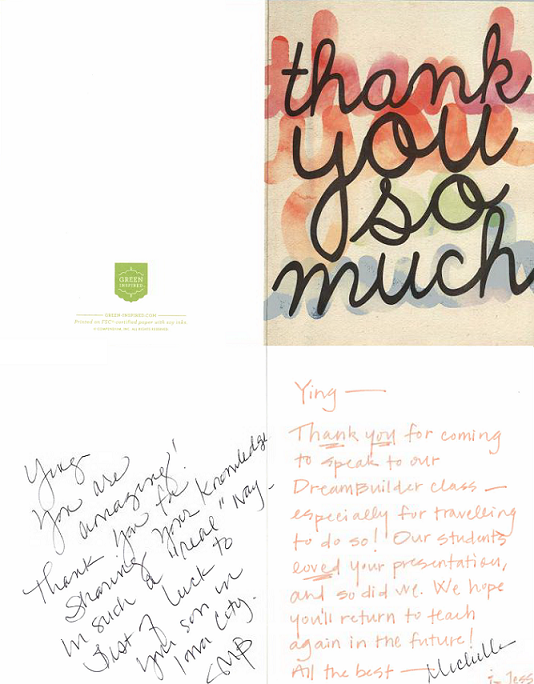 Thank you for coming to speak to our Dream Builder class – especially for travelling to do so! Our students loved your presentation, and so did we. We hope you’ll return to teach again in the future! 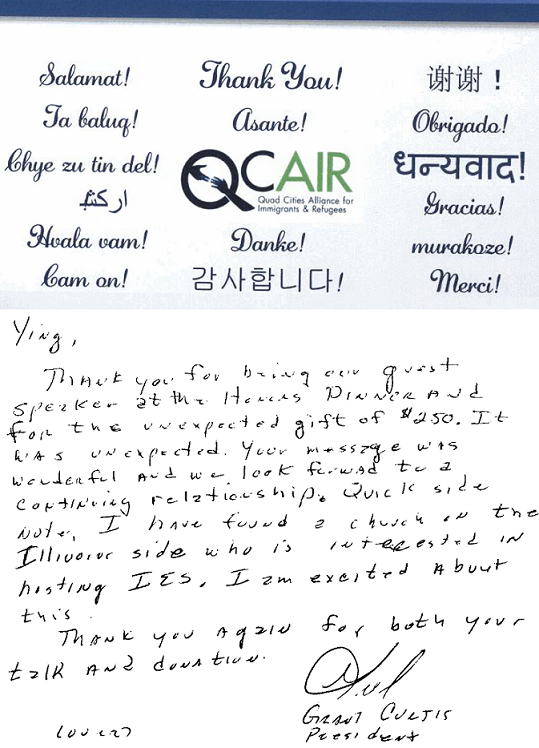 Thank you for being our guest speaker at the Honors Dinner and for the unexpected gift of $250. It was unexpected. Your message was wonderful and we look forward to a continuing relationship. Quick side note, I have found a church on the Illinois side who is interested in hosting IES. I am excited about this. Thank you again for your talk and donation. After 12 years and 3 CPA's later Ying and her staff at Community CPA resolved a 12 year old tax matter with the highest level of professionism that every business should follow. Every call was answered or returned within that day no matter how busy she was. Ying gave me advice on starting the process myself to save me money on the firms services. Ying and her staff impress me with all the knowledge they have with the tax system. I would like to thank Community CPA again for there professional and honest services they provided me and I highly recommend them. I am so grateful I found this firm! © 2017 Community CPA All Rights Reserved.